A lightweight cotton for a soft and crinkly feel. The straight leg Bermuda shorts are chic and cool! Zip and button fastening. Waistband with belt loops. 2 slant pockets with bartacks and piped coin ticket at front. 2 piped button pockets at back. Tone-on-tone topstitched finish. Inseas 27.5cm, leg width 25cm approx. 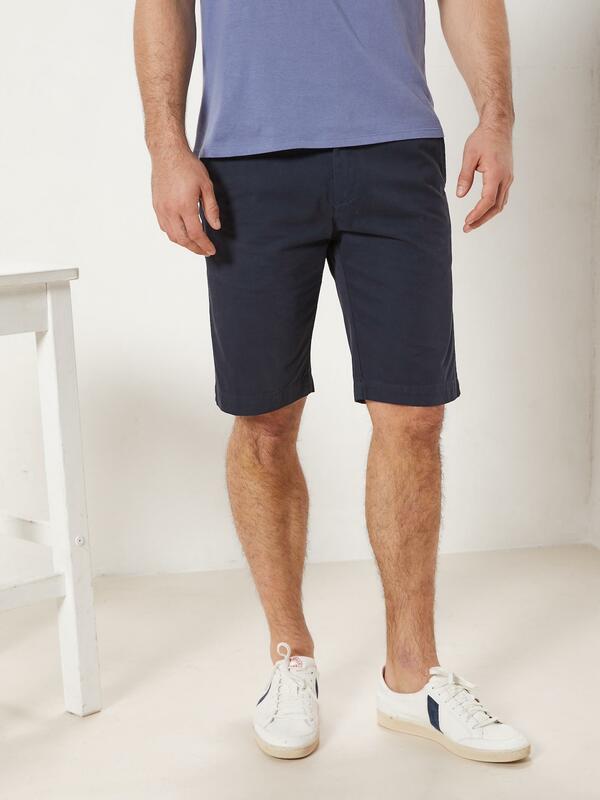 The slight nuances in shade or finish are sought-after effects: these Bermuda shorts’ unique look is due to the garment dyed treatment.